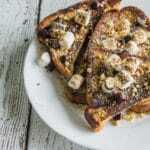 Is this S’mores French Toast recipe exactly what you think it is? 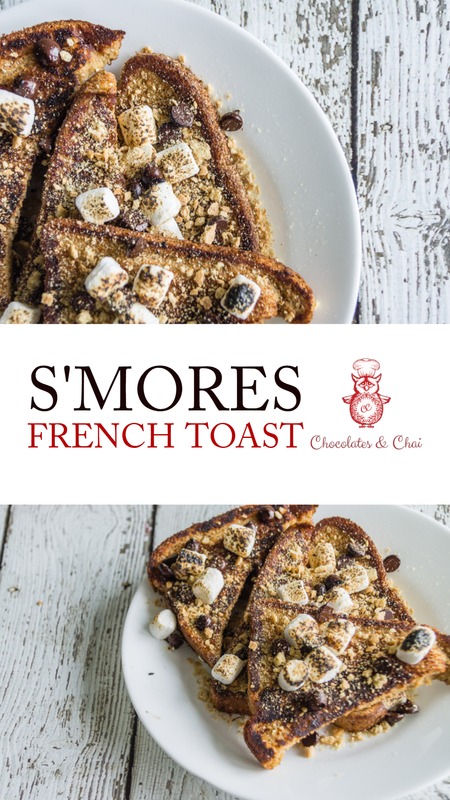 Well, if you think it’s a decadent French toast recipe with chocolate, crushed graham crackers, topped with some perfectly gooey torched marshmallows…well, then you’d be exactly right. You must’ve read my mind. And since you’re already reading my mind, you might as well read on! It’s actually a wonder that this is the first time I’m sharing a s’mores-recipe. I was actually tempted to over-stuff the toast and have rivers of chocolate and marshmallow flowing out…but that ends up tasting like an overly sweet, goopy, mess. Remember, bestie…gooey=good, goopy=not good! Something completely unrelated to this S’mores French Toast recipe! Do you notice anything different around here? Yup, I’ve updated my site’s design! This new design is (hopefully) cleaner, faster, and clearer. Let me know what you think of it. Now, I’m not a web designer (I’m actually quite terrible at things like graphic and web design) so there are a few things I’m still tinkering with. Don’t be too surprised if you notice more small changes in the coming weeks (and potentially one very big change in the next month or so). And hey, while we’re on the topic of you reaching out to me… Don’t forget to follow me on Facebook, Pinterest, Instagram and Twitter. 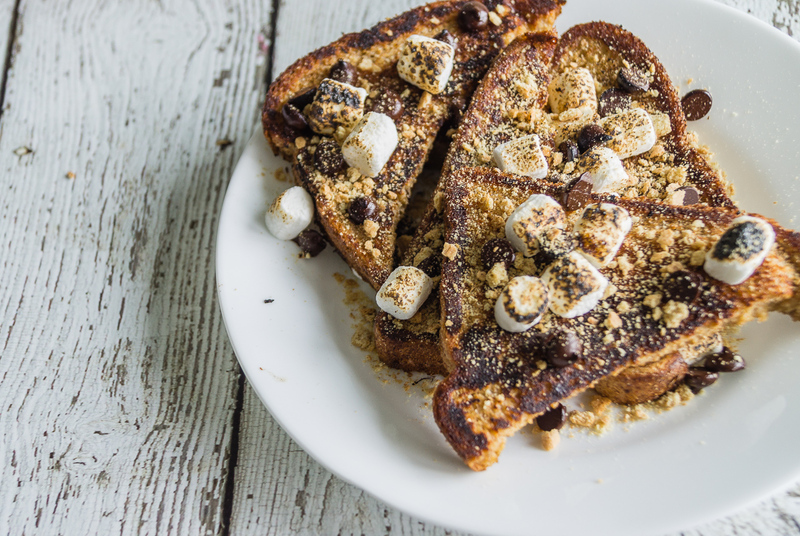 This recipe for S’mores French Toast is a delicious twist on traditional French Toast with crushed graham crackers, toasted marshmallows, and of course, melted chocolate! In a shallow bowl, whisk together eggs, half & half, vanilla, nutmeg, and salt. Dip bread into egg mixture, making sure to coat each side. While still hot, sandwich marshmallows and chocolate in between two slices of French Toast. Garnish with more chocolate, marshmallows, and graham cracker crumbs. And use a blowtorch to toast the marshmallows. If you don’t have access to a blowtorch, set your broiler to High, and place your French Toast on the top tray for a few minutes. Hi Dana, thanks so much!! And I agree. Weekend breakfasts are about indulging and really loving life. I know, right?? Any excuse to put that blow torch to use is a good one! 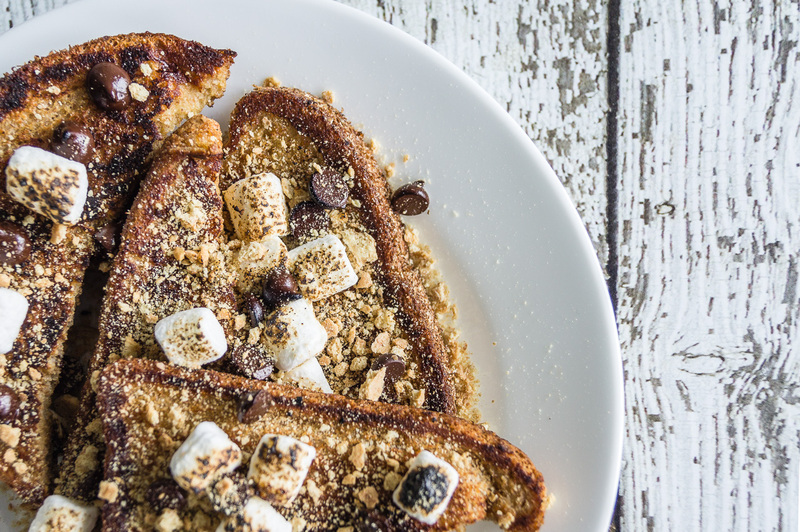 Since brunch season is in full swing, this s’mores french toast is coming at the right time! Nothing like dessert for breakfast to celebrate Mother’s Day or to kick off the weekend! On another note, looks like a great site design! It definitely looks clean and crisp! 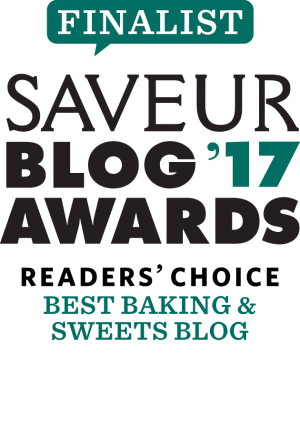 Oooh, I agree completely – Dessert for breakfast meals are perfect for special occasions like Mother’s Day… and also, for delicious starts to the weekend! This looks so decadent, delicious and chocolatey! My kids would absolutely flip if I made this. I’m thinking this would be a great sleepover birthday party breakfast for my daughter’s 11th in July :)! Thanks Terri! That’s such a wonderful idea! Please do let me know if you make it for everyone!! This recipe is the epitome of comfort food. This will be a welcomed treat for dinner tomorrow night. Thanks for sharing. OMG! RIZ! THIS. LOOKS. SO. GOOD. This is my first time commenting but my husband and I have been follownig you for ages! He actually made me your pancake recipe on our first brunch date and it was amazing! I made him the nutella brownies, And I am SO DEFINITELY making this beautiful thing tomorrow! Thank you! Hi Tina!!! I’m so happy to hear you and your husband have been making my recipes! I hope you enjoy this one…it’s extra indulgent, but worth it! In a word. It was HEAVENLY. My boyfriend made it with nutella too and he loved it as well. Ahhh! I’m so glad to hear you enjoyed it! And the Nutella S’mores French Toast variation is super yum, I’ve experimented at home with it too!